A leading Chinese automobile manufacturer will start assembling its vehicles in Cuba, the Chinese website Global Times revealed Wednesday (Dec. 25). The Hangzhou-based Geely International Corporation “is now preparing to launch the SKD [semi knocked-down, or partly put together vehicle] project in a local place” in Cuba, Global Times reported. The project will be undertaken “at the request of several Cuban ministries,” including Foreign Trade and Investment, Communications, and Metallurgy. Global Times does not provide a timetable for the project or a site, although the “local place” may very well be the Mariel Special Development Zone, west of Havana, where the vehicles would be assembled. Global Times quotes Geely as saying that the number of its vehicles on the streets in Cuba “has reached nearly 10,000 units,” utilized mainly by the Cuban Committees for the Defense of the Revolution, the Ministry of the Interior, and the Ministry of Tourism. 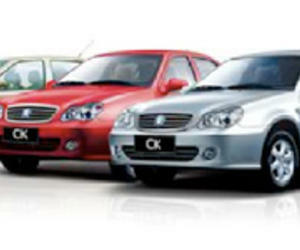 According to Cuba Standard, a website of Cuba-related business news, Cuba is Geely’s largest market in the Caribbean, Central America and northern part of South America. “In 2012, the company opened a contract assembly plant in Uruguay in a joint venture with a local partner, making it Geelys first in the Western hemisphere,” Cuba Standard says. As of Friday (Dec. 27), the Cuban media had not reported on the Geely project.